The ten incarnations or ‘Dasa Avatara’ of Lord Vishnu is an extraordinary recording of the evolution of human life and advance in human civilization. 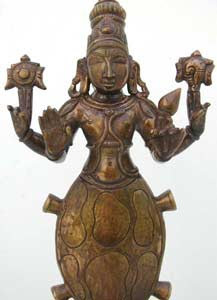 In Hindu religion, the three main deities are Lord Brahma, Vishu and Shiva. 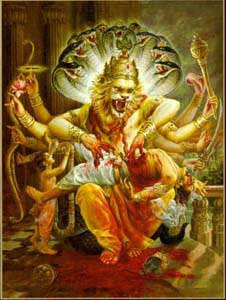 Brahma creates, Vishnu protects and Shiva destroys - three faces of Mother Nature. Lord Vishnu descends on Earth to uphold dharma and to cleanse the Earth of evil. 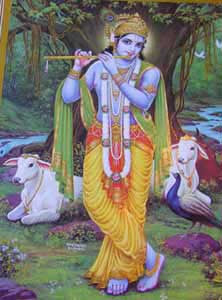 So far, Lord Vishnu has appeared nine times on Earth and the tenth, kalki, is expected. The sequence of appearance of Lord Vishnu on Earth is in tune with the evolutionary theory. In fact, the ten incarnations of Lord Vishnu is an amazing recording of the advancement of human civilization. All this was recorded by Hindu sages thousands of years before Christ. 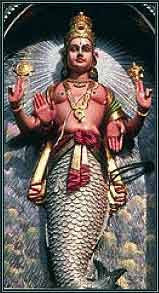 The first incarnation or avatar of Lord Vishnu was in the form of a fish and is known as ‘Matsya Avatar.’ It has now been confirmed by Science through various experiments that the first life forms evolved underwater. The second incarnation of Lord Vishnu was in the form of a tortoise known as ‘Kurma Avatar.’ Tortoise is an amphibious creature capable of living both on land and in water and it indicates the moving of life form from underwater to surface of Earth. The third incarnation of Lord Vishnu is the boar known as ‘Varaha Avatar’. 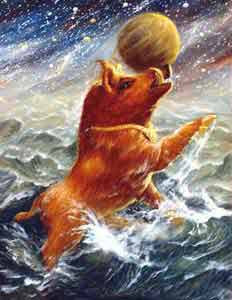 Boar is a complete land animal and in this incarnation, life form has moved out of water and has adapted to land. The fourth incarnation of Lord Vishnu is the half-man half-animal form known as ‘Narasimha Avatar.’ This incarnation starts the transformation from animal to human form. The fifth incarnation of Lord Vishnu is the dwarf or pigmy sized human being known as the ‘Vamana avatar.’ A transition from the beastly form to human form and the development of intelligence. 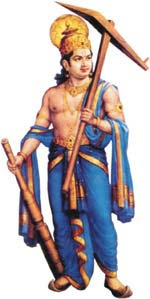 The sixth incarnation of Lord Vishnu is the forest dweller known as ‘Parasuram.’ He has developed weapons and axe is his first weapon. Any sharp stone can be transformed into an axe and it also indicates the first settlement of humans in forests. 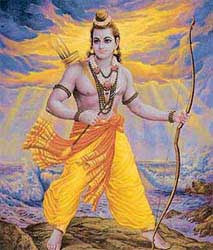 The seventh incarnation of Lord Vishnu is Lord Ram. He civilized and has developed more superior weapons like the bow and arrows. He has cleared the forests and developed small communities or villages. 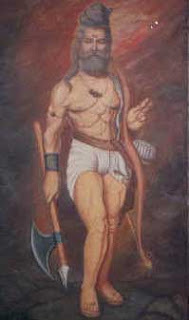 He is very vigilant and protects his villages and people. The ninth incarnation of Lord Vishnu is Krishna. He represents the advancing human civilization. He is associated with cows, the beginning of domestication of animals and development of economy, which continues to the present day. 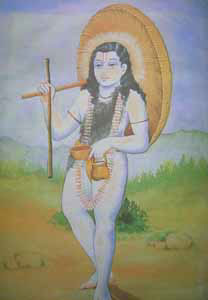 The tenth incarnation of Lord Vishnu is Kalki and is yet to arrive. 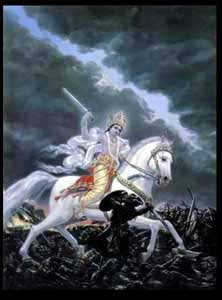 He is believed to ride on a swift horse Devadatha and destroy the world. A clear indication that human beings will bring an end to life on earth. The numerous natural calamities created by human beings and the numerous nuclear weapons stored illustrates this. After complete annihilation, Lord Vishnu alone floats on a pipal life - perhaps the last remaining life form. Thousands of years after the complete annihilation, life will begin again in water.